Gig, album, and book reviews; interviews; reminiscences; and general music blah-blah! 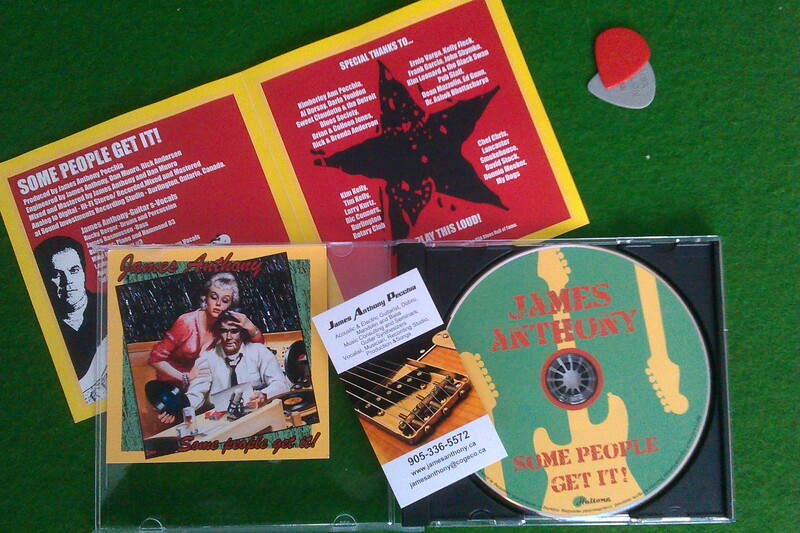 Recently I was unexpectedly contacted by Blues guitarist JAMES ANTHONY from Ontario, Canada. No, I’d never heard of him before either; but after a little research, I soon realised that I was dealing with a very experienced and talented musician and song-writer indeed; and I was impressed with the music that I heard. This was a pleasant surprise for me as I’ve had a long-held interest and fondness for Canadian Rock and Blues guitarists since my teenage years. This is after all, the country that gave us ALEX LIFESON; RIK EMMETT; FRANK MARINO; PAT TRAVERS; and of course the late, great JEFF HEALEY; to name but a few. James has already released several albums in Canada to great critical acclaim. Yet is currently virtually unknown in the UK. On the phone he told me that he’d love to play England but had no contacts over here. And that ironically, Canadian artists have to leave Canada in order to become famous – even in their homeland! Well I’m no music promoter (I’m just a bloke who writes a blog! ), but I know two or three promoters who may interested in him and his excellent band, and I promised to mention James to them – which I have done. (Watch this space). James was so pleased that he sent me a few of his CDs, to review – and thereby spread the word. A case in point is the first track, ‘Right Between The Eyes’, because as soon as it started, I thought of COCO MONTOYA. Well, that’s not a bad comparison, because there are similarities between the two guitarists throughout the collection. Lovely guitar tone on this track. Second song is ‘What About Us’. Its a souly-blues number; very pleasant; and floats along nicely. This is followed by the title track; which starts with a flourish of notes from (what sounds to me like) a Telecaster. ‘ALBERT COLLINS’ I thought! It has a funky-blues vibe; and is very catchy. ‘Waiting For So Long’ is a beautiful song; and has a lovely harmonised twin lead guitar solo in part. This is followed by ‘Valentine’s Day’; another funky-blues that gets the foot tapping. ‘Who’s Doing Who?’ follows. Its a bright and chirpy blues number, with cynical lyric that made me smile. Nice Bass and Harp on this one. I love ‘Me Or That Damn Guitar’. If you like trad-sounding Urban Blues, you’ll love it too. 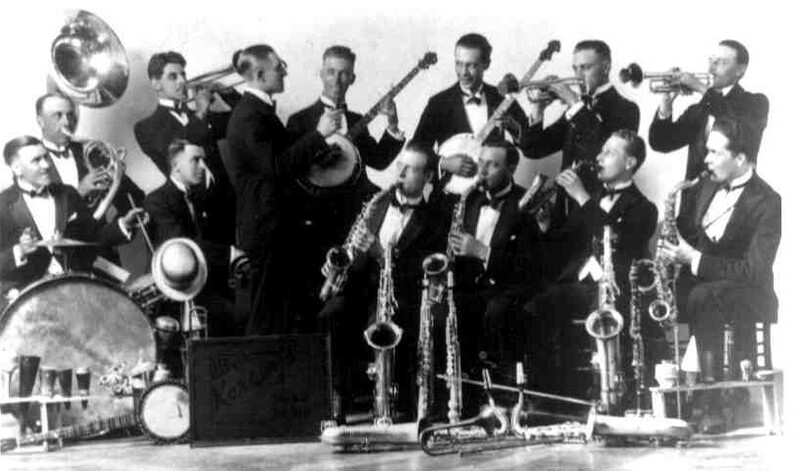 Great Keys, and unusual use of a Wah-Wah. Its for anyone who’s missus is on their case! ‘Walking My Blues Away’ continues in the same vein; and is another great song. ‘Rockabilly Walk’ is up next. Its inclusion surprised me. Its lyric starts like the traditional English participatory song ‘Hokey-Cokey’. I don’t know if James has developed a dance to go with this, but it’d be a great party song. It makes a change for me to hear a little Rockabilly too. ‘If You Love Me’ is a fine, light-weight Rock’n’Roll piece – think of the classic ‘Time Is On My Side’. Yet another complete change of style is tried out with the pen-ultimate track: ‘Date With The Blues’. This is a cool Jazzy Blues; mellow, with a beautiful guitar tone. I love it! A further style is manifest in the last offering, ‘Travelling In My Mind’. It is an acoustic Down-Home style Blues. It is a great little song demonstrating James’ skill with the acoustic guitar; accompanied only by the harmonica. Nice bit of Bottleneck slide-work too. All songs are written by James. They are well constructed and demonstrate his versatility as a writer; encompassing many different Bluesy styles. I like this album a lot. Its bright, classy, and at all times palatable. Its the kind of Blues that could bring a Blues-sceptic to the blues table for a veritable feast! ‘Some People Get It’ says James; I get it….. and if you like a bit of blues, you’ll get it too! The band consists of: James himself, who plays all guitars; and vocals. BUCKY BERGER (Drums); and JAMES RASMUSSEN (Bass). Other musos (on Keys and Harp etc) have been brought in as necessary. James also produced and co-engineered the album. This entry was posted in Album Review, Uncategorized and tagged albert collins, alex lifeson, blues, canadian blues bands, canadian rock bans, chicago blues, coco montoya, down-home blues, frank marino, James Anthony Band, jeff healey, otis grand, pat travers, rik emmett, rockabilly, rush, some people get it, telecaster, triumph, urban blues on October 19, 2014 by PTMQ. I hadn’t been to The Boom Boom Club for a few months. Although I like it there, I don’t live that close, so it has to be an exceptional artist that brings me along! So when I heard that promoter PETE FEENSTRA had booked the great bluesman COCO MONTOYA (who I’d never seen live before), I had no hesitation in getting a place booked (via cousin Charlie who lives nearby). To add icing to the cake LAURENCE JONES was to be the support act – had to be a winner of a gig! Charlie and I arrived early and found ourselves a place at the front of the stage; eagerly awaiting the show. Support act Laurence Jones was soon climbing unpretentiously on stage, and launched into ‘Can’t Keep Living Like This’ from his new album “Temptation”. It was a whirlwind start to a breath-taking set of exceptionally good music from a young guitarist, who music writer NIGEL FOSTER describes as ‘the future of British blues-rock’, and I think that’s a fair comment. Its quite a compliment considering he’s up against the likes of: DAVY KNOWLES; OLI BROWN; and VIRGIL McMAHON. Now I last saw Jones at this same venue almost exactly a year ago, supporting the veteran bluesman WALTER TROUT (who as I write is unfortunately seriously ill back in the USA – and no doubt all blues fans are praying for him). I remember being impressed at the time by this young lad; but what a difference that year has made! He is noticeably far more confident than he was last May; and his chops are greatly improved – his Strat’s fret-board was his, to be used as gently or as roughly as he saw fit – with equal precision. It was a nice touch when he dedicated the title track ‘Temptation’ to Trout, his hero, who guests on the new album; and I must say, he did the old master proud. Another highlight for me was his version of Hendrix’s ‘All Along The Watchtower’. This is often covered, of course, but Jones didn’t slavishly stick to the Hendrix format; rather making it his own, with a lengthy but interesting solo that show-cased his considerable skills. And a bloody good job he made of it too! I also liked ‘Fall From The Sky’ a lot; and ‘Soul Swamp River’ which he sang (partly) without a mic at the front of the stage. Mention must be made of Jones’ excellent band too. I think these are a different bassist and drummer to those I remember from a year ago. Finnish drummer MIRI MIETTINEN was a reliable powerhouse at the back of the stage; and ROGER INNISS was exceptional with his monstrous 6-string bass, the size of a scaffold-board! But, Christ, could he play it! I spoke briefly to LJ after the show, and found him to be a very nice bloke – modest and affable. Now that the tour with Montoya is finished, he tells me he’s off to the RORY GALLAGHER FESTIVAL in Ballyshannon, Ireland; along with another old veteran favourite of mine, BERNIE MARSDEN. With the company he keeps this boy is going far! I notice he’s back for a gig at THE NEW CRAWDADDY CLUB here in Essex in June – that’s one for the diary. (Just realised, its only a couple of weeks away!) Anyway, good luck to you, LJ! Half-time was unusual: normally the intervals at gigs are filled with beer and music blah blah (and fair enough too! ); but after Pete Feenstra had finished plugging the next two gigs over this Bank Holiday weekend, Nigel Foster got up on stage to present him with a special award for all the hard work he’d done in promoting all sorts of music acts over the years. It was well deserved, and Nigel summed it up excellently with some very well-chosen words. Charlie and I also got talking to the photographer JENNIFER NOBLE of BLUES MATTERS magazine and her husband. She is a big blues fan; very knowledgeable; and quite a character. Now for the main event. I’d been waiting a long time to see Coco. In my mind I always lump Montoya, Trout and BUDDY WHITTINGTON together – all big American bluesmen from the prolific JOHN MAYALL’S BLUESBREAKERS stable. I’ve seen Trout and Whittington several times (and my son James and I have had the honour of meeting them both too. Unfortunately James couldn’t make it tonight), but I’ve been waiting for Montoya for years; having never seen him live. Tonight was to complete the trinity. 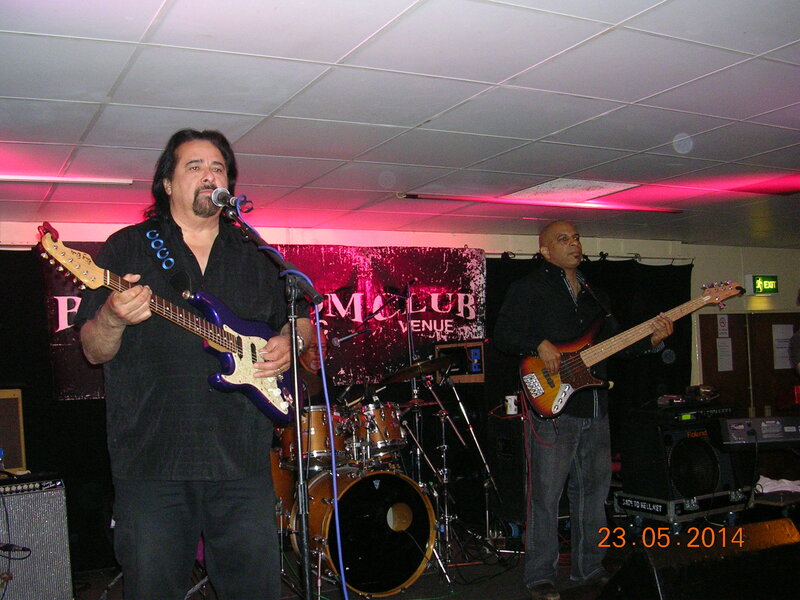 Coco Montoya and his band; consisting of Nate Brown on bass; Brant Leeper on keyboards; and Rene Beevers on drums; took to the stage to great applause. Brandishing a brilliant blue left-handed Strat, fitted with a right-handed neck; the big bluesman kicked off his set with ‘Wish I Could Be that Strong’. It was a great opener, and was quickly followed by ‘Hey Seniorita’, with its latin feel. Various favourites followed, including: ‘Too Much Water Under The Bridge’; the funky ‘Don’t Go Makin’ Plans’; and finishing with ‘Three Sides To Every Story’. Coco’s repertoire is a blend of various well-known bluesy vibes – both traditional and modern in style; yet all of it with Coco’s personal stamp of genius at its core. The influence of his original mentor, the late great ALBERT COLLINS, is manifest; and the tutorship of JOHN MAYALL is apparent; but his feeling and understanding of the blues obviously comes from deep down inside. Jennifer Noble summed it up succinctly to me half-way through the set: ‘Now THAT’S the blues!’ she said. I met Coco after the show and had a brief chat with him. We talked about his blue lefty Strat; and about flying back to the USA next day. He is like many great musicians: modest and approachable; and has a genuine love of, and gratitude towards his fans. He told me he’s not going to leave it so long this time before returning to the UK for another tour – let’s hope he means it as I think everyone there would be up for another Coco gig ASAP! Thanks Coco – it was a fantastic night! A final word should also be said about the hard-working bar staff at the Boom Boom Club – you never have to wait long for a pint, and you are always served with a pretty smile – A BIG THANK YOU LADIES! Here is a vid of Coco in action at this very gig….. 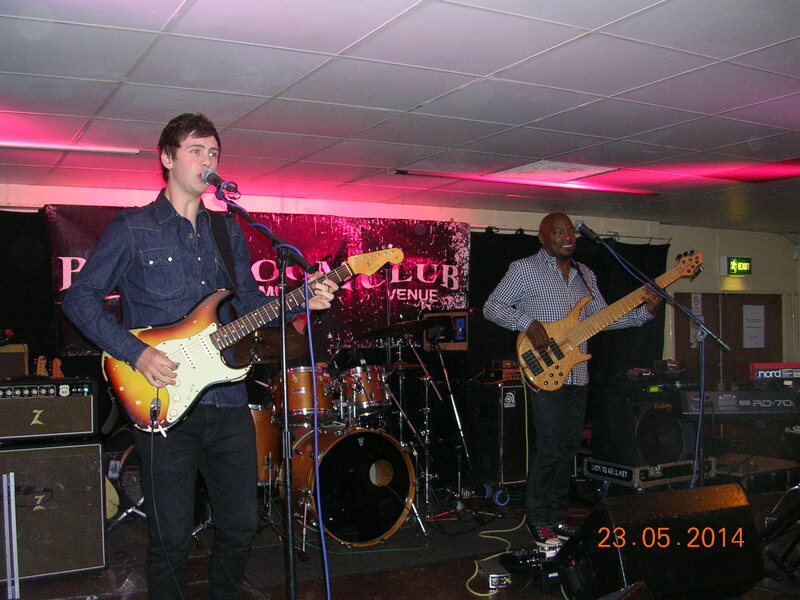 This entry was posted in Gig review, Uncategorized and tagged albert collins, blues, Blues-Rock, bluesbreakers, Boom Boom Club, buddy whittington, coco montoya, jennifer noble, jimi hendrix, john mayall, Laurence Jones, miri miettinen, Pete Feenstra, Rock-Blues, roger innis, walter trout on May 25, 2014 by PTMQ.